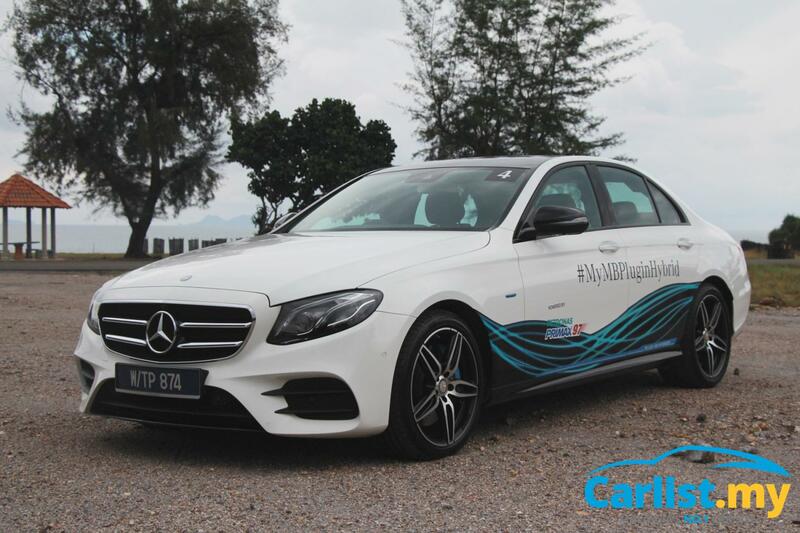 Here to continue the success story of the E300 W212 Bluetec Hybrid - the model which was responsible for bringing the E-Class back to form a few years ago - the new Mercedes-Benz E350e Plug-in Hybrid made its surprise debut at the brand’s assembly plant in Pekan, Pahang last month. 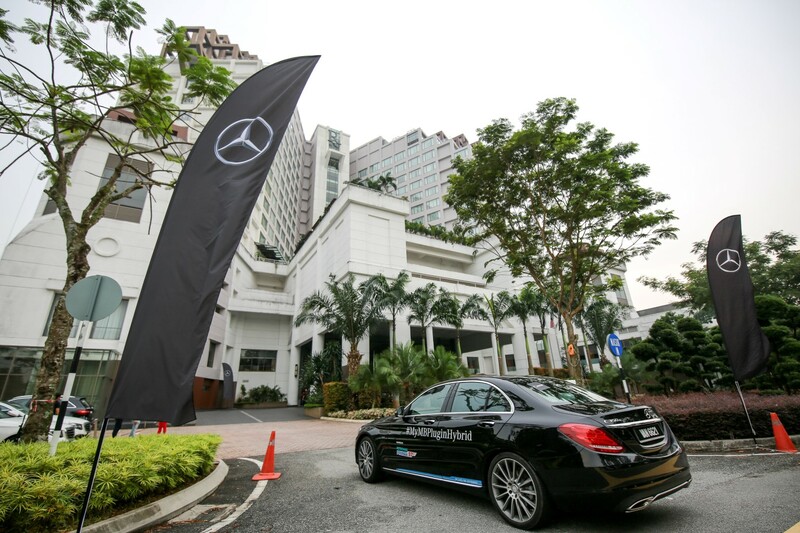 While we already gave it a go prior to its launch in October, we had the opportunity to get our hands on it once again last month for the E350e Plug-in Hybrid Fuel Efficiency Challenge organised by Mercedes-Benz Malaysia. So, since we've got the nitty-gritties out of the way in our earlier review report, our mission this time around was simple - to focus purely on saving fuel and win the challenge. 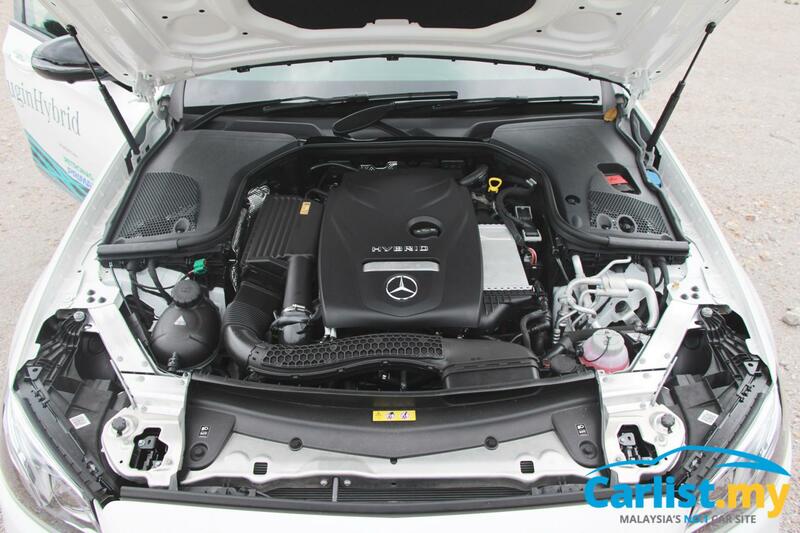 Offered in three trim levels - E350e Exclusive (RM392,888), E350e AMG Line (RM395,888), and E350e Edition 60 (RM408,888), the E350e PHEV is powered by the M274 turbocharged 2.0-litre four-cylinder engine and an electric motor which produce a total of 286 PS and 550 Nm of maximum torque. 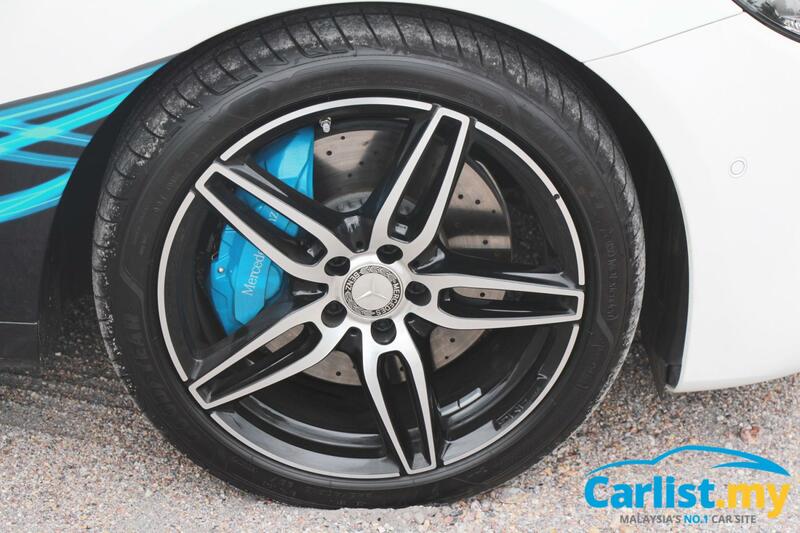 Paired to the engine and the electric motor is the 9G-Tronic nine-speed automatic gearbox which sends all the power to the rear wheels. 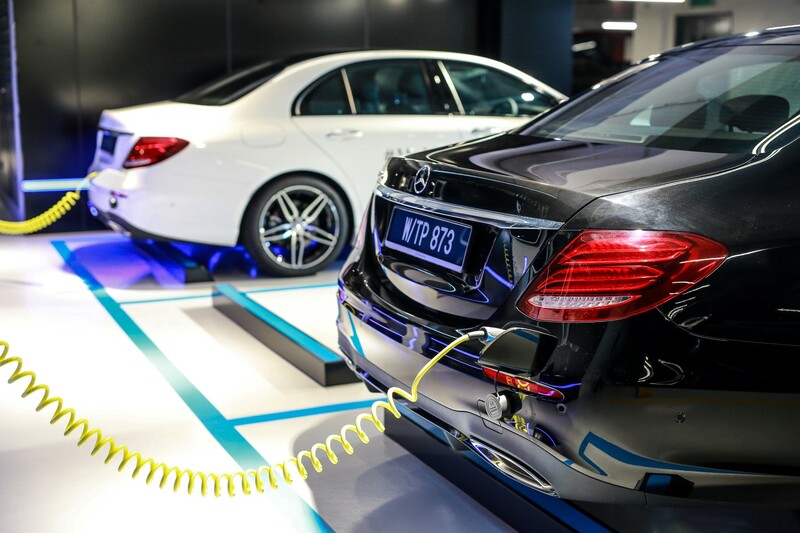 Capable of accelerating from standstill to 100 kmh in 6.2 seconds, Mercedes-Benz claims that the E350e can travel 33 km and clock a top speed of 130 kmh in full electric mode. 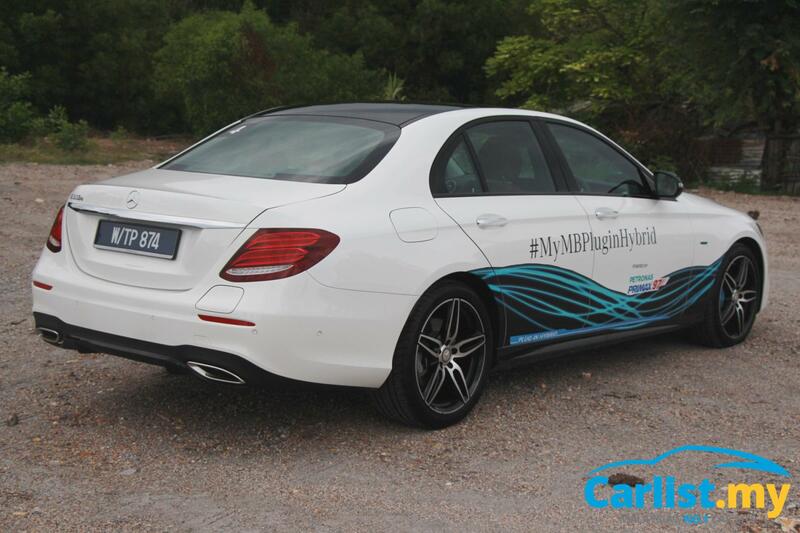 The big news however, is the claimed fuel consumption of 2.1-litres per 100 km, which was the number to beat during the E350e fuel efficiency challenge last month. The model which we drove was the E350e AMG Line, which shares the same engine as the other variants but gets sportier looking front and rear bumpers, a blacked out front grille, 19-inch split five-spoke alloy wheels, unique side-skirting, sports steering wheel, as well as Metal Weave interior trim with Piano Black finishing. The Mercedes-Benz E350e Plug-in Hybrid Fuel Efficiency Challenge was held last month over a period of three days involving 10 cars and 20 journalists (two per car), where we had to drive from KL to JB on one day to familiarize ourselves with the car, and proceed from JB to Tanjung Jara, Terengganu the next day for the actual challenge. 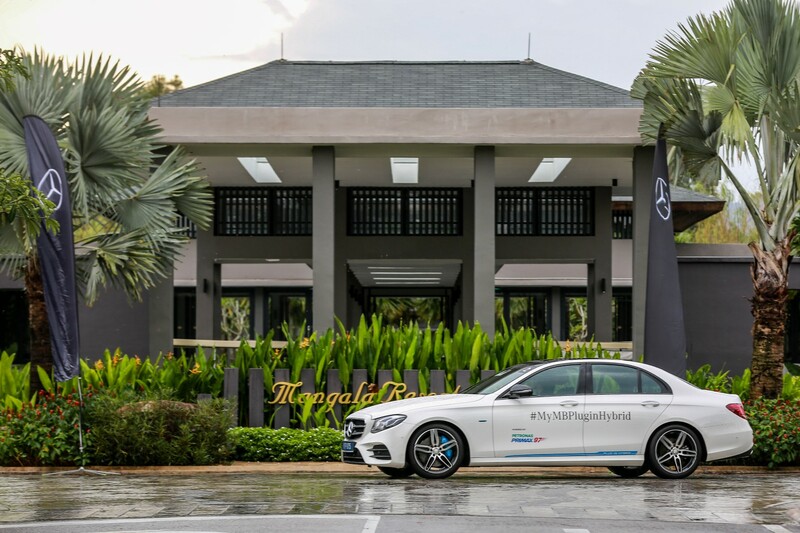 The total distance we had to travel during the challenge was 488km (JB to Tanjung Jara), including three stopovers and no scheduled refueling or manual recharging of the battery. 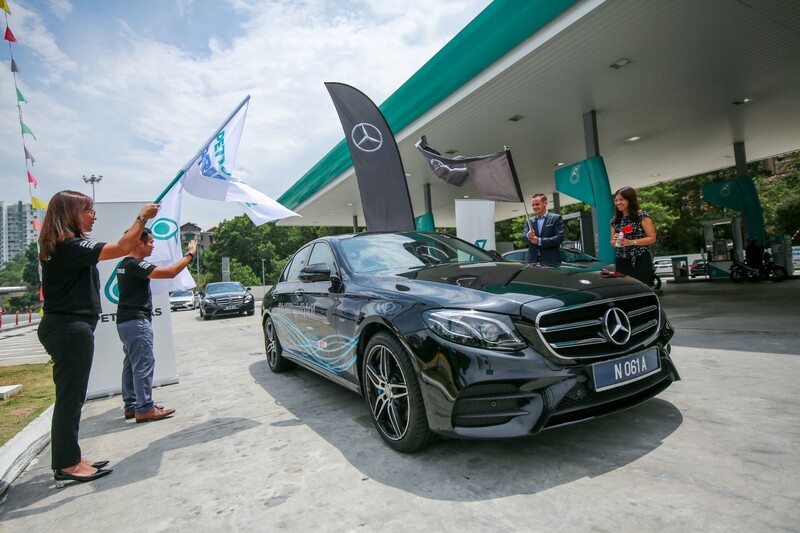 The task was simple – to drive from JB to Tanjung Jara within seven hours with the least amount of fuel and as much battery power as possible. So, armed with a full tank of fuel and fully charged battery, our journey began from JB at 9 am sharp, taking us through a combination of B-roads as well as highways on which we maintained an average speed of 80 kmh throughout the day. 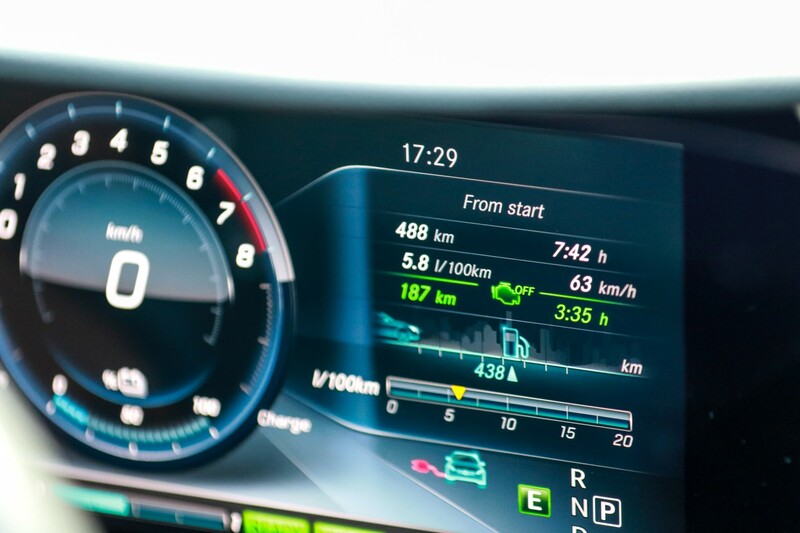 There were four operating modes to choose from – ‘Hybrid’ (default) which uses both the battery and engine, ‘E-Save’ which preserves the battery to allow for all-electric driving at a later stage in the journey, ‘Charge’ which runs fully on the engine and charges the battery, and E-mode where the car runs solely on electricity. Despite having a plan, we conveniently forgot that in ‘Charge’ mode, the E350e only uses the engine, and sometimes even works it hard at high revs to charge the battery as quickly as possible. We learnt this the hard way only when we noticed the fuel consumption reading dropping very rapidly every time we were in ‘Charge’ mode.  What we should have done was utilize the coasting feature which also charges the lithium ion battery every time we went downhill or applied the brakes. By doing this, we would’ve used less of the engine. Plus, no matter how hard we tried, we could only go as far as 25 km in full EV mode as opposed to the claimed 33 km. So, by the time we realized that we messed up, we were already more than half-way through the whole journey. From 4.9-litre/100km in the first checkpoint, our fuel consumption increased to 5.3-litre/100km at the second stop in Kuantan, and we only had two hours left to reach Tanjung Jara. Assuming that we were going to be penalized for arriving late, we went on to make our second big mistake of the day by rushing things a little and picking up speed, without realizing that the rest of the troop were still behind us. 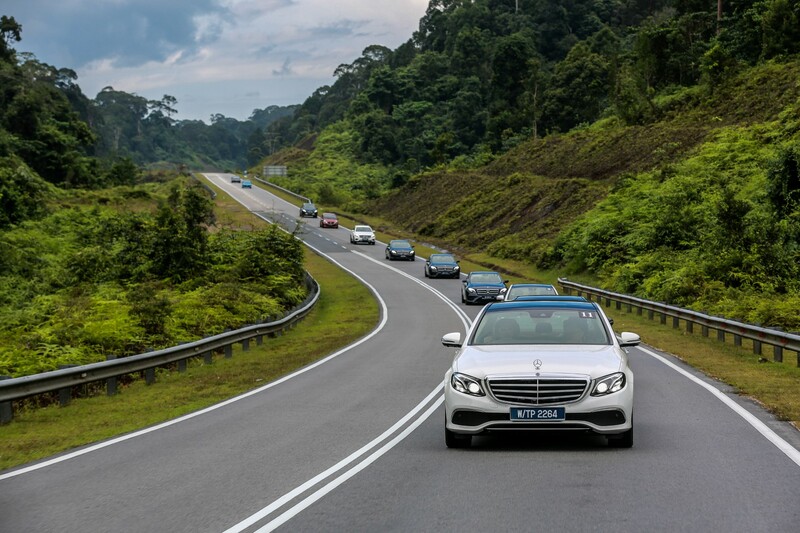 Only upon reaching Tanjung Jara, as the folks at Mercedes-Benz Malaysia greeted us and told us that we were the first to reach while the rest were still taking their own sweet time from Kuantan, we realized that it was all over. As expected, we didn’t win anything that day but we were not that far behind the winners. The best result of the day was 5.5-litre/100 km with 233 km of pure electric driving, while we got 5.8-litre/100km and drove purely on electric mode for 187 km, which would have been further if we were a bit more patient and alert. The drama aside, what the E350e could do was nothing short of impressive. After 488 km of driving at about 80 kmh, we only used half-a-tank of fuel and still had another 438 km to go, which means that a full tank of fuel can return about 1,000 km. 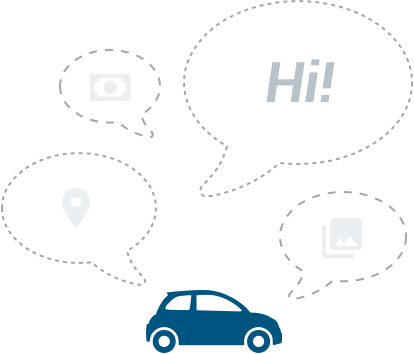 But then again, the way we drove and the figures we achieved do not represent real world driving. 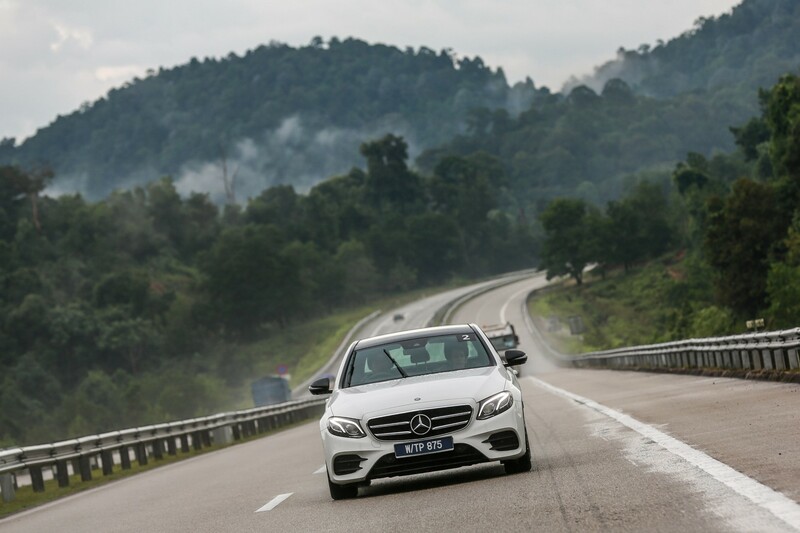 With 286 PS and 550 Nm of torque waiting to be unleashed, how many E-Class owners out there do you think will be cruising at 80 km/h? 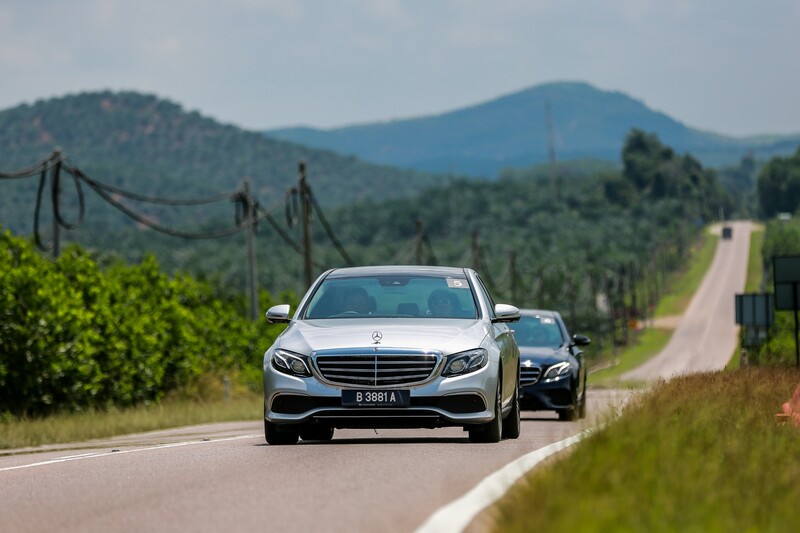 As challenging and stressful as the fuel efficiency challenge was, our overall experience in the new E350e was without a doubt, an enjoyable one. Even after spending close to 16 hours in the car over the three days, we had very little to complain about. 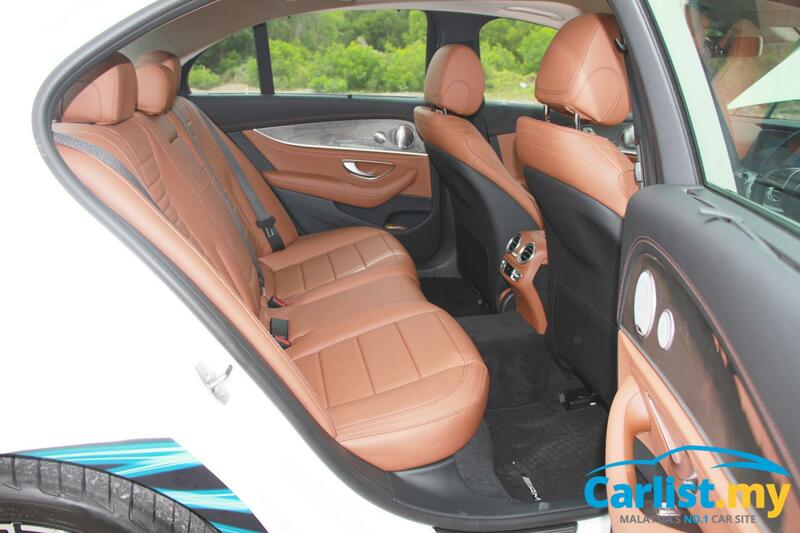 Our only issue was that the new E350e feels a little cramped up inside, especially in the rear where leg room and shoulder space comes at a premium. Boot space has also dropped from 540-litres to 400-litres because of the battery pack. 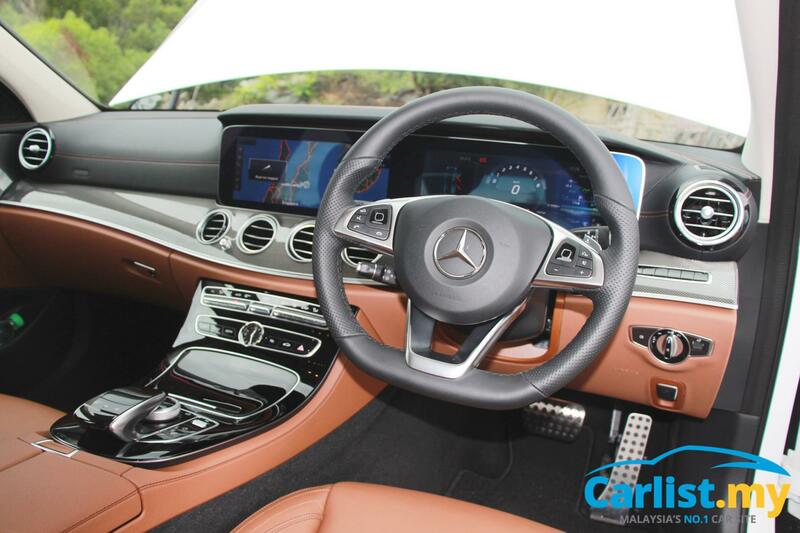 But besides that, the range topping E350e is a very well-rounded proposition that still carries most of the characteristics that define the E-Class. Now that hybrid technology is in the picture, impressive fuel consumption has also been added into the equation, making the car a worthier package.